For fans of series like Mass Effect or Dragon Age, that should be at least a little comforting. 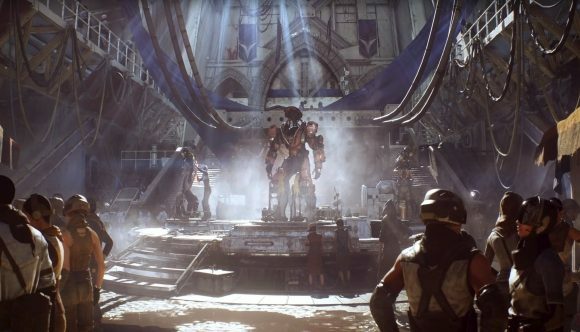 There might not be quite the same level of romance in Anthem as in other games, but there will at least be an opportunity to get to know the NPCs who populate its world. On the subject of Mass Effect and Dragon Age, Hudson says the team “hear loud and clear” the interest in those games. He also teases that “we have some teams hidden away working on some secret stuff that I think you’ll really like,” but says that BioWare aren’t ready to talk about any of it just yet. The Anthem release date is February 22, 2019, and you can check out some gameplay in the video above. Check out the blog post for Casey Hudon’s full comments, as well as news about Star Wars: The Old Republic. Hudson also says that BioWare is doing a panel at PAX where they’ll talk about “our world, my story” in more detail, so there should be more information available soon.